In my travels throughout the world, I've continually heard people naming Costa Rica as an all-time favorite destination. There's talk of vacationing on the Nicoya Peninsula for a week, doing a yoga teacher training in Nosara, moving to Tamarindo for a season or even moving to Costa Rica permanently. Whether you're looking for an active adventure, a relaxing beach vacation, temperate city life or a place for retirement, Costa Rica offers something for everyone. And if you're a cautious traveler worried about your safety--and that of your passport and your stomach--it's the perfect place to visit. The Costa Rican people, known as Ticos, are said to be some of the friendliest people in the world. They give you a warm smile and a wave or stop to chat for no reason other than to see how your day is going. The Ticos are happy to be living in such a beautiful area of the world and are excited to share it with you. Every country is susceptible to crime and Costa Rica is no exception. However, there's no other country where I've felt safer traveling alone or with a group than in Costa Rica. The poverty rate is low, the people are happy and the government is stable. Costa Rica abolished their military in 1948 and established a democracy, allowing the country to truly focus on its own people. With no military spending, more funds became free for public education, resulting in today's highly educated workforce, most of whom speak English. Costa Rica enjoys just two seasons: wet and dry. During whichever season you choose to visit, you're sure to experience breathtaking tropical scenery: palm trees and white-sand beaches, big cities and rural villages, rain and cloud forests... Costa Rica has it all! And thanks to some of the most progressive environmental policies in the world, the wildlife here is spectacular, with monkeys, sloths, toucans and coatis roaming around its jungles and cloud forests. 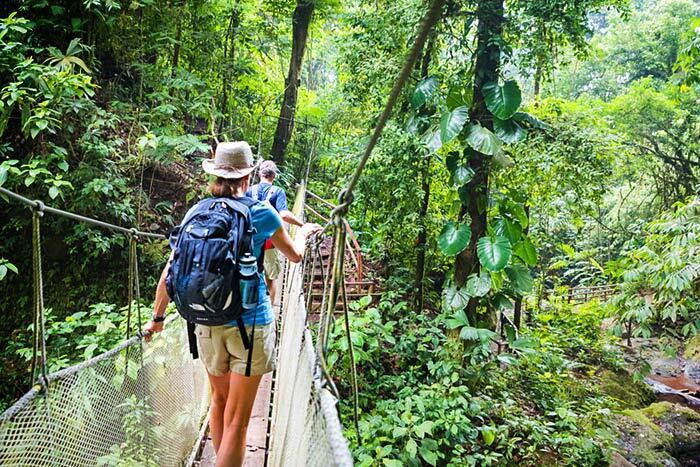 There may be no better place to experience the country's natural wonders than in Manuel Antonio National park, where beaches, rain forest and diverse wildlife come together in a paradisiacal setting--great for families with kids of all ages! 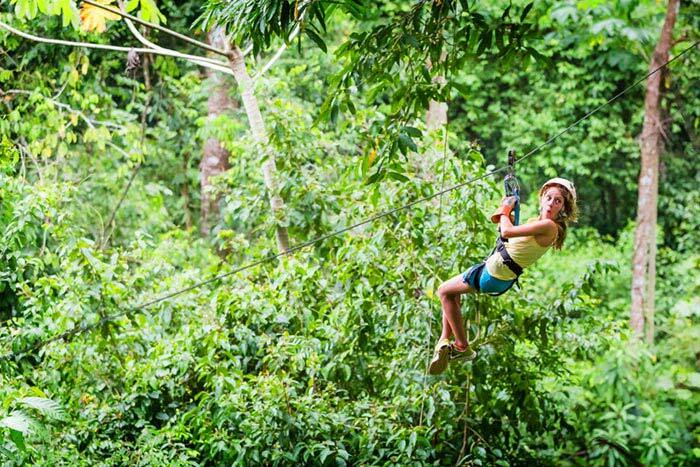 For those who crave outdoor activity, Costa Rica offers hiking, biking and zip-lining, and countless waterfalls, ocean inlets and swimming holes in which to cool off. The stunning beaches on the Nicoya Peninsula make it a surfers' paradise and the myriad yoga retreat centers on both the Caribbean and the Pacific coasts lure in flocks of yoga enthusiasts. To top it off, the food and water in Costa Rica are both safe to eat and drink, and are quite delicious. The water can be sipped straight from the tap in most areas, unlike in other Central American countries. Typical Costa Rican food is relatively bland and sits well for travelers with sensitive stomachs. A traditional dish includes rice, beans, meat, salad, plantains and tortillas, and can be spiced up with some homemade onion and hot pepper sauce known as chilero if you want to add some kick. So, if you're looking to escape North America's cold weather and snow this winter, head to Costa Rica and see what all the excitement is about! 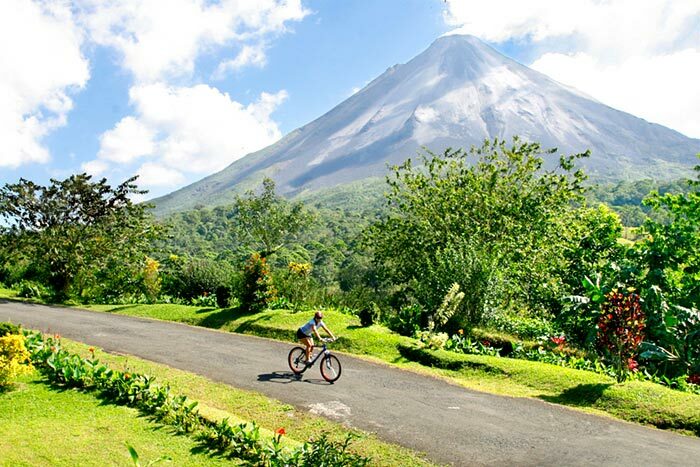 Check out a Detailed Itinerary of the Backroads Costa Rica Multi-Adventure Tour!